It’s a BBQHWY.com kind of day. 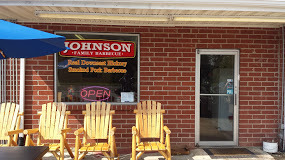 Made a 30 mile trip for lunch to Johnson Family BBQ in Durham in the wind/rain. Walked in and my friend/barber Richard Wilson and his son were there. 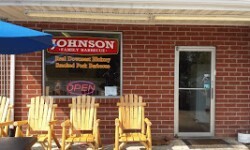 We were the only ones eating in, but great wood smoked BBQ! They smoke they BBQ for 8 hours over real wood and you taste the difference!